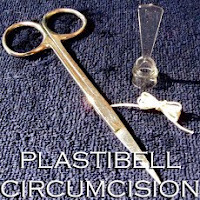 Further reading on HIV and circumcision can be found at AIDSCirc.org and at the HIV, AIDS & Circumcision Resource Page. Another newborn baby was thrown out with the trash this weekend. This time, despite going down a Brooklyn, New York trash compactor, the little one survived and is expected to make a full and healthy recovery (details below). In 2011, the majority of U.S. states have legislation allowing parents to drop unwanted newborns at "Save Haven" locations without repercussions of any kind, but it is an option Laquasia Wright must not have known of. Safe Havens started as an effort in 1999 in Texas to reduce the numbers of babies being abandoned and abused. Sometimes called the "Baby Moses Laws," they were established as an incentive for mothers in crisis to safely relinquish babies to designated locations where babies would be protected and provided with necessary medical care until a safe, loving, and permanent home is found. In most cases, a parent or person helping a parent may remain anonymous and is protected from prosecution in any form when a baby is dropped at a Safe Haven location. In the past 12 years, 49 states and Puerto Rico have established Safe Haven laws. One problematic factor in infant Safe Haven locations is that there is no uniform protocol or drop locations nation wide. In some states it may be allowable to drop at a fire or police station, whereas in other states only hospitals or health clinics are legally able to accept an infant without question. In most states either parent may surrender his or her baby. In four states, only the mother may relinquish her baby. In 11 states, anyone with a parent's approval (an "agent" of a parent) may take a baby to a Safe Haven. Seven states do not specify who can drop off a baby. Age of baby is another incongruent factor in U.S. Safe Haven laws. In 13 states, babies 3 days old or younger are taken in with no questions asked. In 16 states and Puerto Rico infants up to 1 month old are anonymously taken in. Other states have various newborn ages set in place for acceptance at Safe Havens. Take custody of a baby the provider reasonably believes to be 3 days or younger who is left by a parent (mother or father) who does not express an intent to return for the child. Take any action necessary to protect the health and safety of the child. Within 24 hours after taking the child into custody, deliver the child to an intake worker. Make available to the parent the maternal and child health toll-free telephone number maintained by the department. The decision whether to accept the information made available is entirely voluntary on the part of the parent. No person may induce, coerce, or attempt to induce or coerce any parent into accepting that information. If a parent who wishes to relinquish custody of his or her child is unable to travel to a safe haven provider, the parent may dial the telephone number. New York's laws (where the last two babies were thrown away) are not as clearly laid out as Wisconsin. New York parents may drop off a baby at a Safe Haven that is up to 5 days old without questions asked to "an appropriate person at a suitable location." In California, a baby may be given to anyone working at a fire station or hospital emergency room, with no questions asked and no fear of prosecution. A baby of any age would be better off dropped at a Safe Haven than face abuse or neglect (or life endangerment) and with an increase in cases like this over the past 3 years, it may meet the needs of our little ones to establish more of an open, universal policy for Safe Havens. 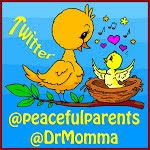 Today, in 12 states, anonymity for a parent (or agent of the parent) is expressly guaranteed. In 24 states and Puerto Rico, a Safe Haven provider cannot ask a parent to provide identifying information. In 13 states also provide an assurance of confidentiality for any information that is voluntarily provided by the parent. In addition to the guarantee of anonymity, most states provide protection from criminal liability for parents who safely give up their newborn baby. As of 2010, 33 states and Puerto Rico had laws protecting parents from prosecution if a baby is given to a Safe Haven. If there is evidence that an infant has been abused or neglected, anonymity and protection from prosecution is forfeited. Often, the very parents who do not know or understand that baby drop options exist are those looking for ways to escape the unwanted birth of their child, or find themselves struggling to cope with the heavy demands of a newborn parenting role they never desired to have. 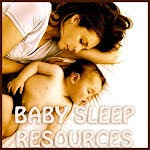 The U.S. Department of Health and Human Services has a summary of State Infant Safe Haven laws here. Please become familiar with your state or local Safe Haven or "Baby Moses" laws and locations where unwanted babies may be dropped anonymously, and share this information in your circles of influence. If you work in a location (police station, fire station, shelter, hospital, clinic) that can serve as a Safe Haven for your state, please look into ways to establish this, and post signs to let everyone in the community know it exists. Although this may never impact you, it could save the life of a little one born to someone around you. If parents who throw away or inadvertently abuse their newborn babies knew that there were safe options for relinquishment, they may not resort to such drastic and damaging measures. Against all odds, a newborn baby boy survived being thrown down a Brooklyn housing project trash compactor Sunday. The infant was rushed to nearby Brooklyn Hospital, where he was in stable condition, officials said. Police said the building's superintendent called police after hearing the baby's cries from inside a plastic trash bag attached to the compactor chute about 9:20 a.m. in the Fort Greene Houses. The baby landed in the attached trash bag, which may have helped break its fall. The child appeared to be about 12 hours old and still had its umbilical cord attached, the source said. Laquasia Wright, who lives on the eighth floor of the Walt Whitman Houses in Fort Greene, was charged with attempted murder and endangering the welfare of a child. Investigators suspect the baby was tossed from the eighth floor of the building. Neighbors stood outside the building, shocked by the news. "That's just sad and pitiful. They need to burn in hell, that's what they need to do," said resident Tisha Holmes, 26. "People are shocked here. They could've given it to anybody. Ain't nobody in their civil mind would do that." Fontaine Simon, 38, was upset to learn what had happened in her building. "Oh God, I hope the baby is all right," she said. "I've been living here for 30 years, nothing ever happened like this before - never." Earlier this month, Dawa Lama of Woodside, Queens was charged with dumping her newborn girl in a bathroom trash can inside the emergency room at Elmhurst General Hospital. The child died a few days later. AMT Children of Hope/Baby Safe Haven President, Timothy Jaccard, stands in front of one of the New York organization's nine mobile billboard trailers letting parents know they have options. Right after, "What is a doula?" the question I am next asked most often is, "What does a doula do?" In larger cities doulas are much more common and in-demand. But living in a small town and trying to develop a practice has presented unique challenges. Too few people have actually ever heard the word doula so it's difficult to convince people that they really need something they've never heard of and know nothing about. 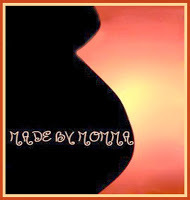 A doula's role is unique to each mother she works for, as each mother has different needs for each pregnancy. Much of a doula's job is to offer education and guidance. Pregnancy and labor often present a mother with many different decisions. Making a decision with the confidence that it's right for you and your baby can be difficult if you don't understand all the nuances of each option. A doula is well educated and can explain every option and help a mother make the decision that falls best in line with the mother's own birth plan. Most often, doulas are called on to act as comforters. 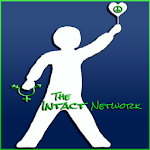 Doulas are trained in many different methods of drug-free pain management. You may be surprised to know how small things, like patterned breathing and guided visualization, can help manage pain. But so much of the comfort a doula offers is emotional. Birth is such a personal and transcendent experience for a woman. It can take her through the complete range of human emotions in a very short amount of time. Having continual support from an experienced woman is priceless! It offers the freedom to scream if you need to scream, laugh if you need to laugh, or cry if you need to cry. A doula is not there to hamper your emotions. She is there to allow you to experience them fully with love and understanding. In many ways a doula is your cheerleader. Often, she will gently remind you that your body is made to birth your baby. That you can give birth. And to celebrate with you as you get through each contraction. Unlike a doctor or nurse, your doula is with you 100% of the time (except for brief bathroom breaks). She may suggest different positions or actions to help you get through when labor becomes particularly difficult. 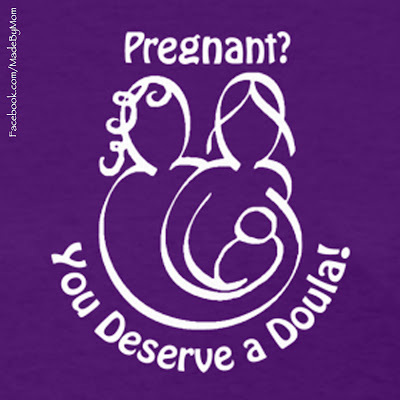 Unlike a doctor or nurse who may not support your wishes or respect your birth plan, a doula is always on your side! 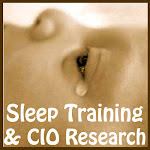 Your doula will also help you to get off on the best possible start with breastfeeding your baby. Doulas are trained in breastfeeding support and can offer valuable advice and insight. Unfortunately, much of the art of breastfeeding has been lost from everyday North American society. And the medical model of childbirth doesn't usually provide adequate information or support. Placenta Encapsulation - If you so choose, your placenta can be saved. A professional trained in placenta encapsulation will dry your placenta and grind it up, add herbs, and put it into pill form for mom to take. Placentophagy (the consumption of the placenta) has scores of benefits for new mothers. Acupressure/Massage - Activating certain pressure points has shown to be effective in relieving many difficulties during pregnancy. And we all know that massage can be very healing and relaxing. Babywearing - Your doula might have received special training in babywearing education. Babywearing is as old as humanity and an extremely beneficial practice that cultivates healthy bonding between parent and baby. TENS Machine - Transcutaneous Electrical Nerve Stimulation unit is a machine that has electrical diodes that are applied to areas where mom is experiencing discomfort, and blocks those pain signals. Specialized training is required to use this device. Blessingway Ceremony - A blessingway is a mother-centered birth celebration. Typically a Blessingway is very spiritual and is tailored to the mother's individual spiritual beliefs. Doulas who perform Blessingways will guide a mother's guests through ceremonies meant to bless the woman on her way to becoming a mother by honoring her strength, adorning her body (i.e brushing her hair, decorating her belly, washing her feet etc.) and offering small gifts, prayers and positive thoughts. Aromatherapy - The use of essential oils in different fragrances to relax the mother and ease discomfort. These are just a few examples of the many services a doula may offer. When interviewing a potential doula be sure to ask what extra services she offers, and select a doula who fits well with your needs and wishes. Extra services may cost more, but are well worth it. Even if your doula doesn't offer any services outside of the standard model of practice, there are many benefits to having a doula present for your birth. Studies show that labor with a doula is actually shorter than labor without (a whopping 90 minutes shorter on average!!) Typically when I ask a potential client what her ideal birth would be, one of the most common words used is "short." A shorter labor is ideal for many reasons and labor that is an entire hour and a half shorter than average could mean the difference between a drug free labor and using chemical pain management that can cascade into many different medical interventions most women wish to avoid. Laboring with a doula often leads to less labor augmentation measures such as pitocin. Pitocin is synthetic oxytocin (the "love hormone" that starts labor). It's often administered to speed labor along. Unfortunately an artificial labor of pitocin is much more difficult and painful than a physiological labor with natural labor hormones, and this augmentation can cause your baby to go into distress. Having a doula present for your labor can also drastically reduce the odds that you will require the aid of forceps or vaccuum extraction. These methods of removal are undesireable as they can potentially cause lasting injuries to your baby. Even if administered safely, they can lead to a baby born with an intense migraine. This will often inhibit a baby's desire to initiate breastfeeding, and create bruises and sore spots on baby's tender little head. Overall, having a doula present for your labor simply makes the experience better. The way you remember an experience as life changing as birth, is just as important as the experience itself. For a client to look back on her labor with fondness and satisfaction is a doulas goal. A mother can go against every aspect of her birth plan - but as long as she can look back and be happy with what she's accomplished, a doula has done her job correctly. There are so many things a doula contributes to childbirth, but there are also clear cut things a doula does not do. A doula does not replace a spouse or partner in labor. It's true that a woman whose spouse or partner is no longer present in her life, or cannot be in attendance for the birth, can greatly benefit from the presence of a doula. However, a doula is not there to get in between the mother and her partner. In fact, a doula encourages the partner to be an active participant in the birth. 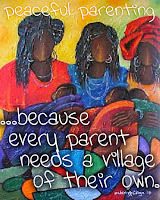 For this reason a doula is not only greatly appreciated by the mother, but also by her partner. A doula is not a medical professional. A doula cannot prescribe or administer any medications or perform any medical procedures. She may recommend home remedies for common problems, but it's merely on an advisory basis. She offers non-medical support only. A doula does not make decisions for a mother, nor does she offer or deny consent for any procedures on the mother's behalf. For example, if your doctor offers an epidural, even if that is against a mother's birth plan, a doula only reminds the mother that it runs counter to her desired birth plan. She does not give the doctor a "yes" or "no" response. Sometimes it can be difficult to stand up to a doctor and refuse consent for a procedure that you don't want when everyone around you is pressuring you to "just do it," but a doula only support your decision, and your wishes in the midst of it all. She is your advocate, and may call for a "time out" so that you have time to think without others pressuring you and be able to make up your own mind in solitude. There are so many nuances of a doula's role in childbirth - to address them all would fill entire volumes! It is my hope that you come away from this article with a solid place to start in your understanding of what a doula contributes to labor and birth.